The Routing Information Protocol (RIP) is the most basic distance-vector routing protocol in use these days. It has been designed for small and local networks and because it’s configuration is very simple, it’s still commonly used. By default, RIP sends out it’s entire routing table every 30 seconds. 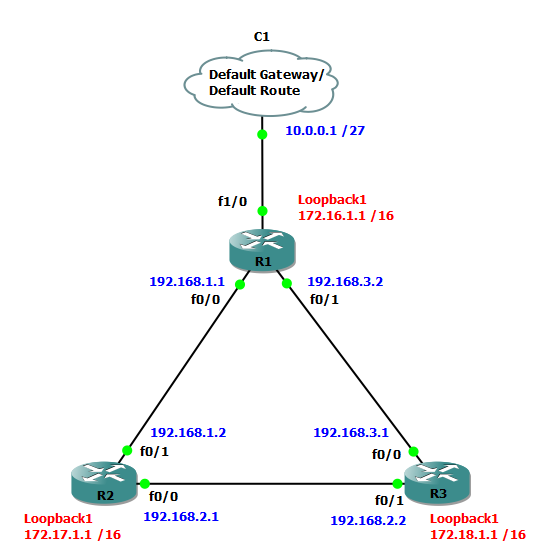 While in small networks with few routes in the routing table this is not an issue and RIP can route efficiently; in larger networks with many routers and routes this routing update would cause unnecessary network traffic. You can read more about RIP in the document RFC 2453.